Like the Adrenaline Rush? Check Out the Best Places in India for Adventure Sports! Some of us are pure adrenaline junkies ready to go to any extent for some thrills. Just the idea of adventure gets us excited. If you happen to have a daredevil streak in you, we are sure adventure sports are certainly on your bucket list. 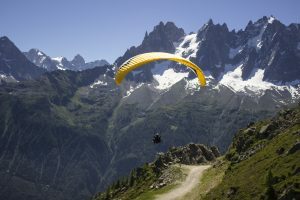 In case you are wondering how and where to get started, we’ve compiled a handy list of the best locations in India best to various adventure sports. On your mark. Get set. Go! Whether it be skiing down slippery slopes or flying freely like a bird amidst scenic skies, Manali is an excellent place to experience both activities, even if you are a beginner. Set in the Himalayan mountains of Uttarakhand, Auli is hands down the best place in India for all things skiing related, including for pros! And, of course, the magical view of snow-capped mountains is breathtaking. Many people added scuba diving and snorkeling to their bucket lists and dosti lists after Zindagi Na Milegi Dobara released. Well, if underwater activities catch your fancy, Andaman Islands is where you need to head to pronto. You’ll love the wide variety of water sports you can take part in there, ranging from scuba diving and snorkeling to parasailing and undersea walking. 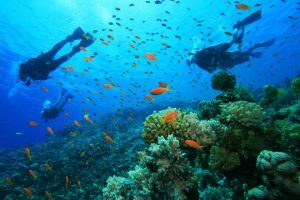 Another excellent destination for scuba diving and snorkeling is the highly underrated Lakshadweep Islands. 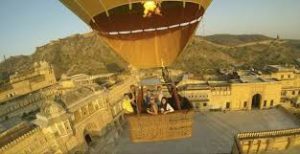 There is something regal and relaxing about watching everything from a distance in a hot air balloon – Jaipur is one of the first few cities in India to introduce this wondrous experience, and of course, there are many other amazing sights and activities to take part in across all of Rajasthan! If you’re a beach bum at heart and the waves tug at your heart, then you might just enjoy surfing, and THE place to experience it is none other than Gokarna. Of course, Gokarna is a fantastic tourist destination beyond water sports, too, with a bustling hippie lifestyle scene, as well. 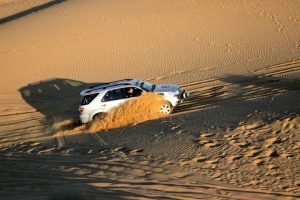 No need to head all the way to Dubai to bash dunes, we’ve got a much closer option for you – Jaisalmer! And, while you’re there you might as well also experience other activities like camel riding and visiting haunted spots spread across Rajasthan. The Himalayas are an excellent destination for trekking enthusiasts, with options for both beginners and seasoned pros. Alternatively, you can also check out Arunachal Pradesh, which is also equally as stunning as a backdrop. So, where do you plan on heading to next and which adventure sport are you going to dare to try? Comment below and let us know! Next Next post: Don’t Be That Type of Traveler – 8 Types of Travelers We Always Run Into!